Who will defend Earth against the death-match challenge of the Outworld? 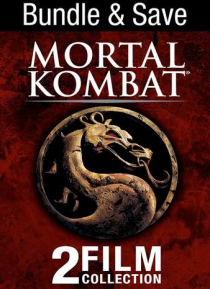 Young Liu Kang (Robin Shou), Johnny Cage (Linden Ashby) and Sonya Blade (Bridgette Wilson) leap into the other-realm fury of Mortal Kombat, the full-tilt smash-impact adventure filled with bold heroics and an ever-astonishing array of weaponry and villainy. Victory is achieved, Earth is spared. Yet the war is not won. Outworl… d warriors slip through the bounds separating the realms and unleash their hell-bent vengeance in Mortal Kombat Annihilation.